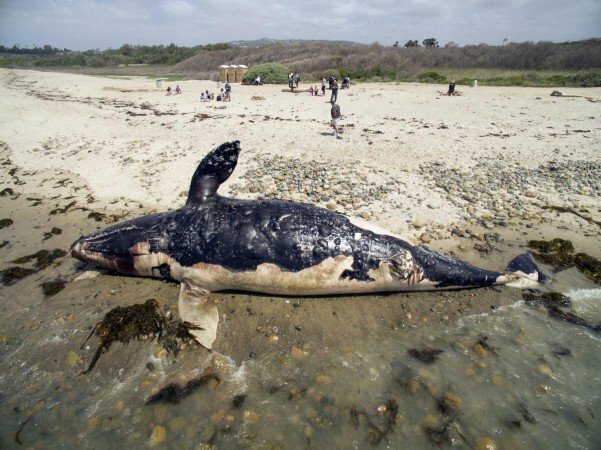 The decomposing whale on a San Onofre State Beach in Southern California has virtually shut down activity on this popular stretch of coastline for the past week, but not for curious onlookers. The 40-foot gray whale washed onto the shores at Lower Trestles, a famous surf spot south of San Clemente, on Sunday April 24. Since then it’s been attracting crowds and beginning to put off quite a stench. It took a few days for officials to formulate a plan for how to handle the 30 ton animal. Crews were just starting to remove the carcass on Thursday. Back in 1999, a similar situation didn’t go too well. After officials buried a dead whale in the sand at San Onofre, it was blamed for attracting sharks. But as CA State Parks Supervisor Kevin Pearsall told Surfline.com, the beach at Lowers is too rocky. Pearsall said they also didn’t want to push it back to sea only to have it become someone else’s problem. And they certainly would not be blowing up the whale, as Oregon officials notoriously found out the hard way was not a good idea back in 1970. 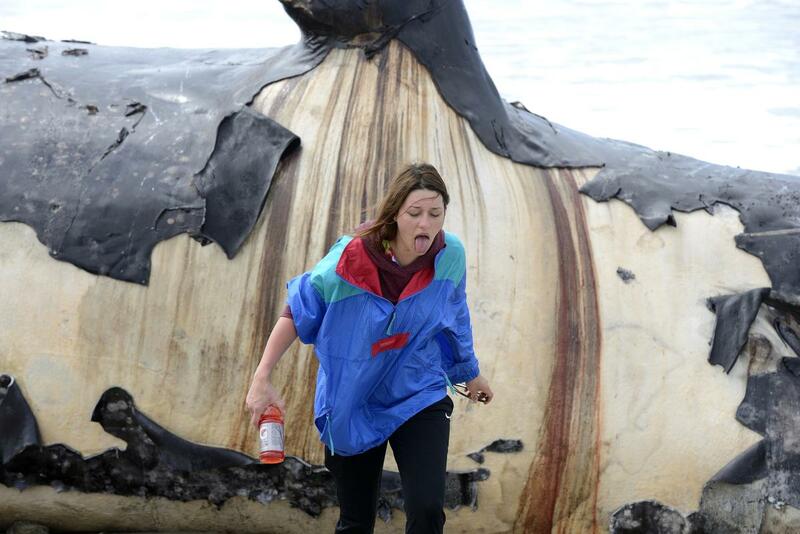 So on Thursday, crews began cutting the whale into pieces to be removed from the beach. The process is expected to last up to two days, to the Los Angeles Times. The last resting spot for this giant creature will likely be the area landfill.